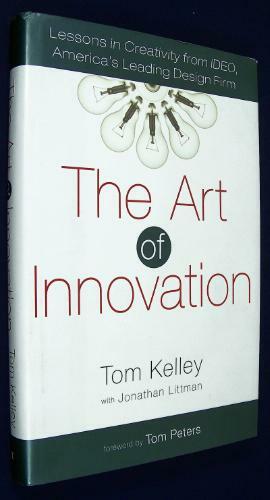 The Art of Innovation: Lessons in Creativity from IDEO, America’s Leading Design Firm by Tom Kelley was written in 2001 and it is amazing how just 10 years can make a book’s examples feel so dated. IDEO is one of the greatest ‘idea’ companies of all time, but technology examples in this book made it feel very dated and out of touch to me. I bought this book from Audible and listened to it during my commute. The production quality is absolutely horrible. It may have to do with the production standards of audio books in 2001 versus the current standards. I was not impressed by the audio quality or the narrator’s method for identifying chapters and sections. If you can get past all that, this is a really good book. The methods described on how to be innovative, how to brainstorm, how get creative ideas flowing, and how to have a company that is focused on creating great products for customers are all great and I believe they would be effective at any company. I really enjoyed hearing how IDEO uses prototyping to fail early. Failing early is a philosophy I have been interested in for a couple of months now and the idea of using quick prototypes that can be shared with the team and with customers has become a recurring theme in the books I have been reading. Web design and development books are encouraging user centered designs that use prototypes and quick usability tests to discover what works and what doesn’t work quickly and cheaply. Also, the content on brainstorming was good; it reinforced the format and rules for holding useful sessions that I have learned elsewhere. I really like the idea of having a room with the brainstorming rules painted on the walls. I may make some banners to hang on the walls before my team holds our sessions. There isn’t a business in America that doesn’t want to be more creative in their thinking, products, and processes. At many companies, being first with a concept and first to market are critical just to survive. In The Art of Innovation, Tom Kelley, general manager of the Silicon Valley-based design firm IDEO, takes readers behind the scenes of this wildly imaginative and energized company to reveal the strategies and secrets it uses to turn out hit after hit. I rate this book a 6 out of 10 keeping in mind that it includes sections that I would rate a 9. I have been listening to Dave Ramsey for about 5 years now. I started listening before getting, Dave’s radio show and his book “The Total Money Makeover” were a revelation. When I met my wife money was one of the first things we talked seriously about, I believe that money is the number one cause of fights and divorce among couples, so being on the same page about money is a big deal. For a couple of months we listened to the show’s free daily hour-long podcast for ideas and inspiration. By our 1-year anniversary we were debt free. I got the opportunity to help host a Financial Peace University class at our church, our friend Neal took the lead and Bobbie and I helped out where we could. It was a great success and it helped people both from our church and our community. I still listen to the radio show during my commute or when I go on long motorcycle rides and the radio show really enforces what we learned in FPU. Hearing Dave give financial advice day after day using the same principles he outlines in all of his books and classes is great, it is rare to hear someone be so consistent in thought and deed. I rate the free podcast and the 3-hour radio show a 9 out of 10 for those interested in living debt free. I bought this lecture on Audble.com and listened to it during my morning and afternoon commutes. 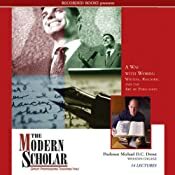 The Modern Scholar series are recorded college-level lectures. I enjoyed listening to this lecture and feel like I learned something, but not a lot. Maybe I will listen to it again and spend more time with the 82-page course guide while listening. I think there is a lot to learn from this lecture, but like most classes you only get out of it what you put in. In other words, it is going to take some work to get the most from this lecture. I enjoyed listening to Professor Drout, and look forward to listening to more of his lectures that are a part of the same series. The study of rhetoric not only leads to a greater understanding of how personages such as Martin Luther King Jr. and Winston Churchill elevated the power of speech to majestic heights, but also to a stronger proficiency in using rhetoric in anyone’s day-to-day life. Professor Drout examines the types of rhetoric and their effects, the structure of effective arguments, and how subtleties of language can be employed to engage in more successful rhetoric. Drout also ponders the role of rhetoric in our world and the age-old question of whether it is just a tool for convincing people of things that aren’t true, or whether it is indeed a force for good that will ultimately lead to truth. I rate this lecture a 7 out of 10 and recommend it to anyone interested in rehetoric, political speeches, and public speaking. I read this book using iBooks on an iPad; this review is for the first edition of the book printed in 2007. There is an updated "Second Edition" available that appears to have some additional content. This book is a really quick read at around 180 pages. I appreciate the format of the author walking through the process of creating the design for a web site from the ground up. I really liked the chapter on color theory and the proper use of a color wheel, I always struggle with choosing colors that "work." The new edition of the book appears to be a nice upgrade to the first edition and I look forward to reading it sometime soon. Tired of making web sites that work absolutely perfectly but just don’t look nice? Throughout the book, you’ll follow an example design, from concept to completion, learning along the way. The book’s full-color layout and large format (8" x 10") make The Principles Of Beautiful Wed Design a pleasure to read. I rate this book a 7 out of 10 and recommend the second edition of the book to anyone beginning web design. I got this book from Audible.com, it is narrated by the author. I usually love stories by Neil Gaiman and this one is no exception. The story of Nobody Owens told in The Graveyard Book has its dark moments but falls just short of being scary. 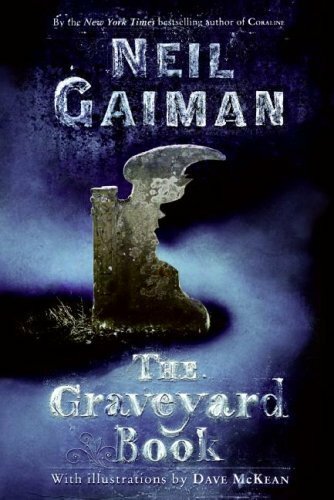 You can watch videos of Mr. Gaiman reading chapters from the book at his web site for young readers “Mr. Bobo’s Remarkable Mouse Circus” where you can also find his other YA books and games. Bod is an unusual boy who inhabits an unusual place-he’s the only living resident of a graveyard. Raised from infancy by the ghosts, werewolves, and other cemetery denizens, Bod has learned the antiquated customs of his guardians’ time as well as their timely ghostly teachings-like the ability to Fade. Can a boy raised by ghosts face the wonders and terrors of the worlds of both the living and the dead? And then there are things like ghouls that aren’t really one thing or the other. This chilling tale is Neil Gaiman’s first full-length novel for middle-grade readers since the internationally bestselling and universally acclaimed Coraline. Like Coraline, this book is sure to enchant and surprise young readers as well as Neil Gaiman’s legion of adult fans. I rate this book a 10 out of 10 and recommend it to anyone who likes dark fantasy stories.